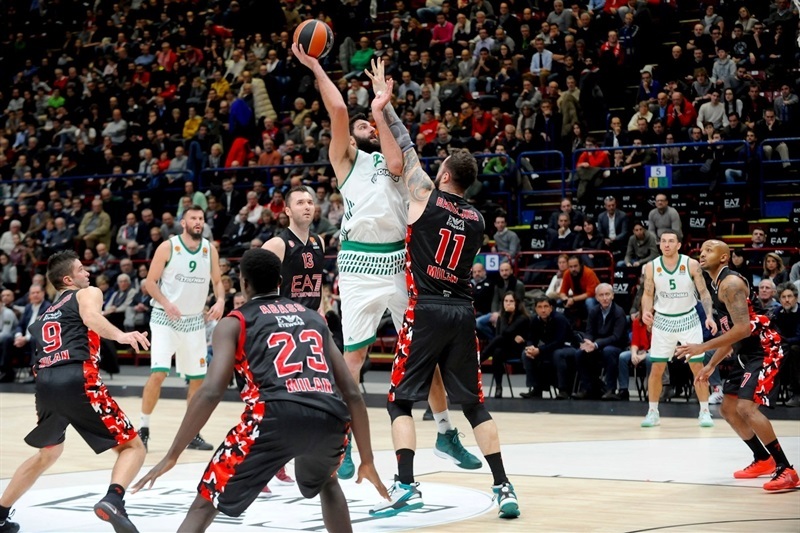 Panathinaikos Superfoods Athens dominated in the middle two quarters en route to a comfortable 72-86 road win at EA7 Emporio Armani Milan on Wednesday night. 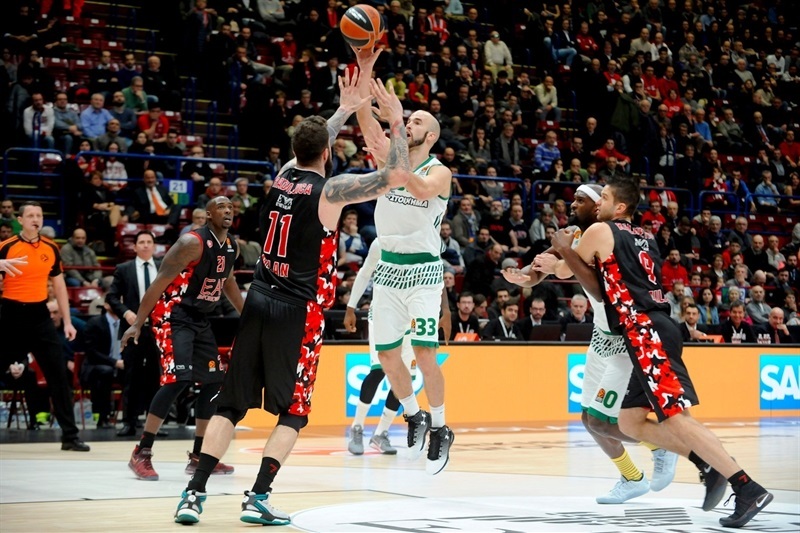 The win improved Panathinaikos’s record to 8-5 and a share of fifth place, while Milan lost its sixth consecutive game to fall to 4-9. 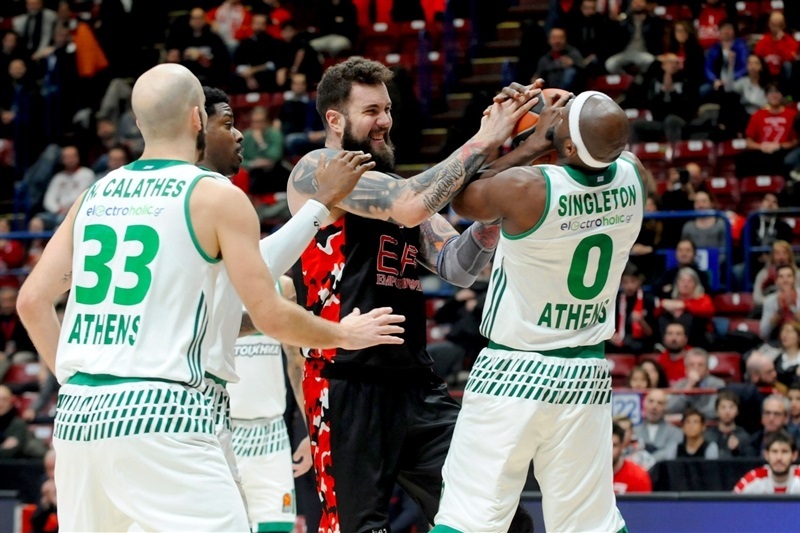 The hosts led 21-16 after the first quarter, but Panathinaikos scored the first 11 and the last 10 points of the second stanza to go into halftime up 29-40, before extending the lead to 22 at the end of three quarter and cruising to victory. 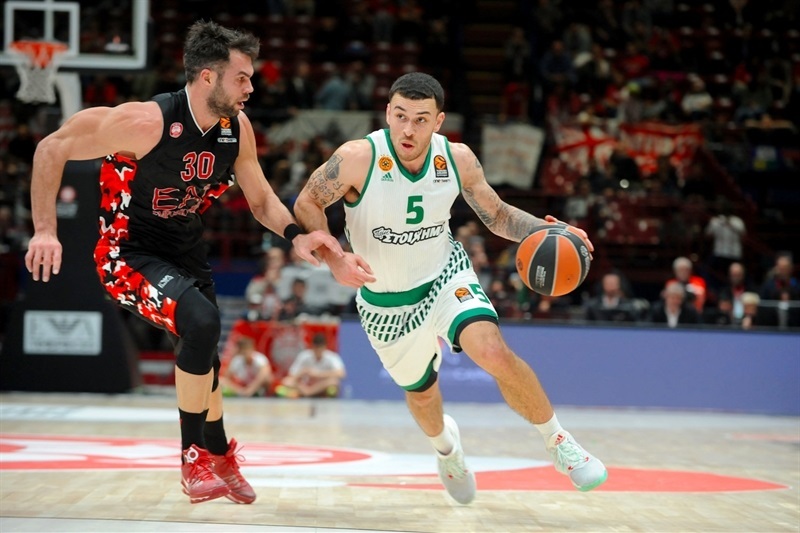 Mike James paced the winners with 19 points. 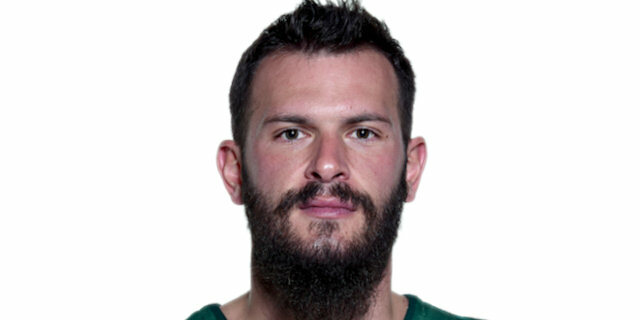 Nick Calathes had 16 points and 6 assists, K.C. 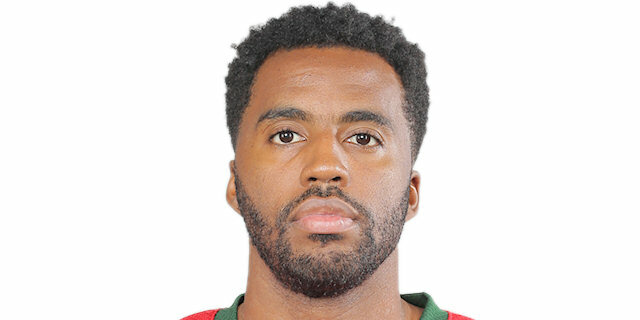 Rivers netted 12, while James Feldeine and Ioannis Bourousis had 10 apiece for Panathinaikos, which hit 13 three-point shots on the night. 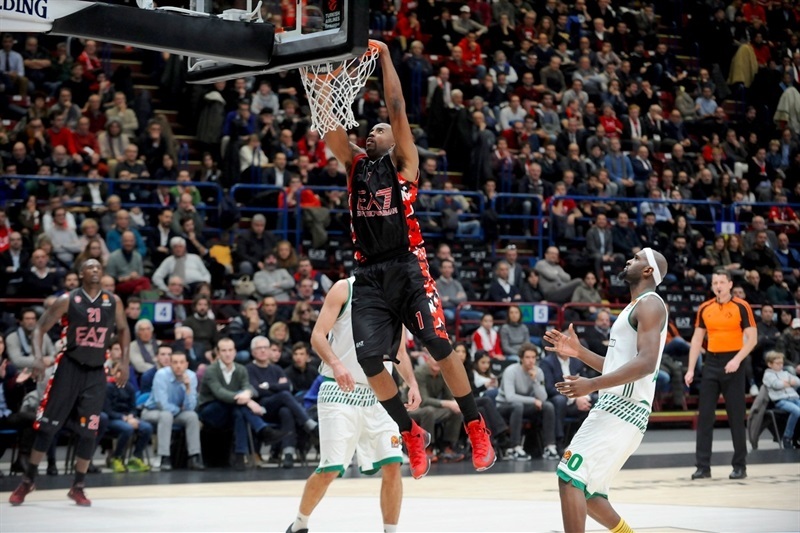 Jamel McLean collected 16 points and 9 rebounds for Milan, and Rakim Sanders finished with 10 in defeat. 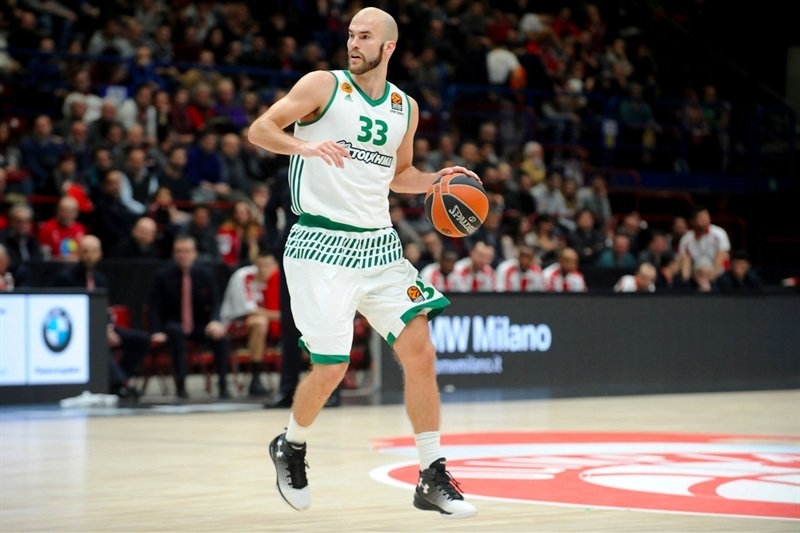 Miroslav Raduljica was active inside for Milan early on, but Calathes scored 10 points, including a pair of triples, that gave Panathinaikos a 9-12 lead. 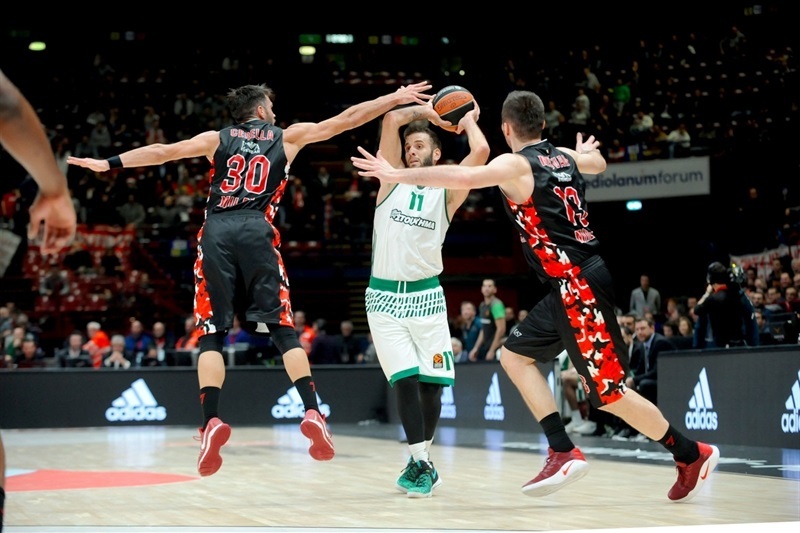 Milan answered, taking the ball inside and using opportunities in transition. McLean had a powerful dunk, and Ricky Hickman took it the length of the court for a layup and 21-16 lead after 10 minutes. But the visitors opened the second quarter with a 0-11 run, during which Bourousis had a three-point play, and James went coast-to-coast for a big dunk. Milan needed almost five minutes to score its first basket of the second quarter. 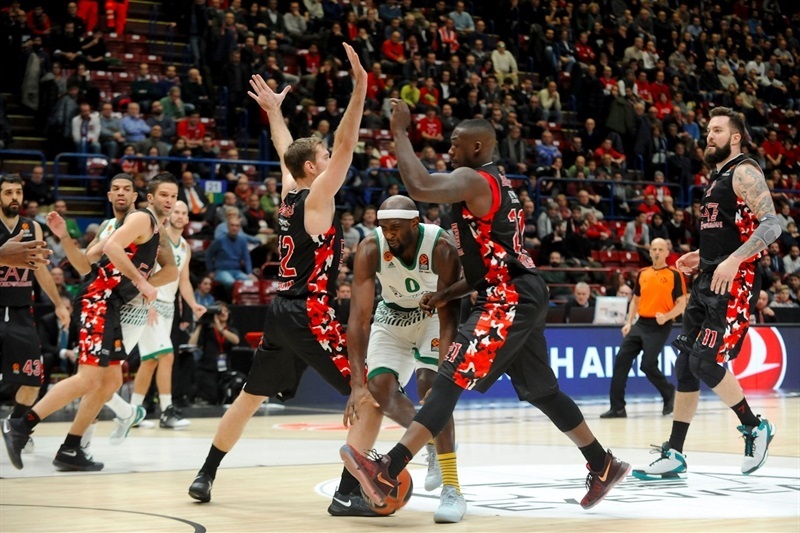 Hickman and McLean got Milan within a single point, but Panathinaikos scored the last 10 points of the half, including back-to-back threes from Antonis Fotsis and Rivers, and James took it coast-to-coast again for a last-second layup and a 29-40 lead at halftime. Threes from Chris Singleton and Rivers opened a 29-46 advantage in the opening 75 seconds of the third. 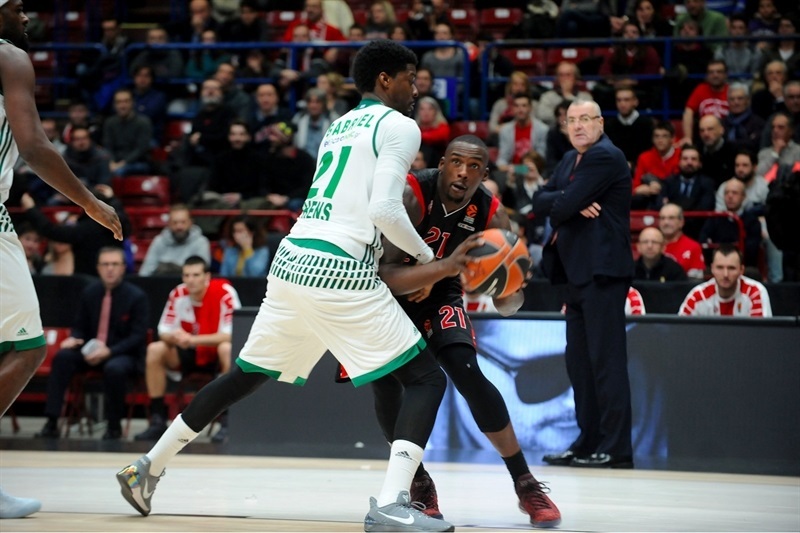 Milan could not find offensive rhythm as it was all Panathinaikos. 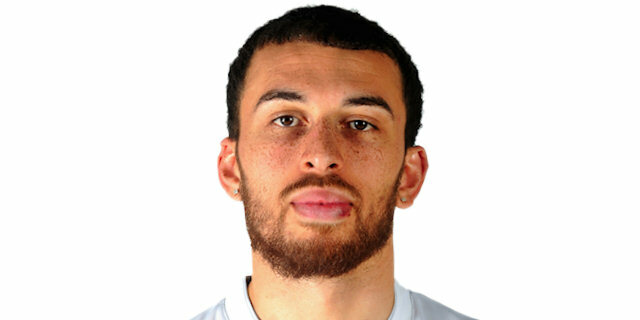 James Feledeine hit back-to-back shots from long distance, both assisted by Calathes, who made a runner of his own that helped the visitors break the 20-point barrier, 38-59. A triple from James made it 42-64 going into the fourth quarter, and there was no coming back for the hosts. 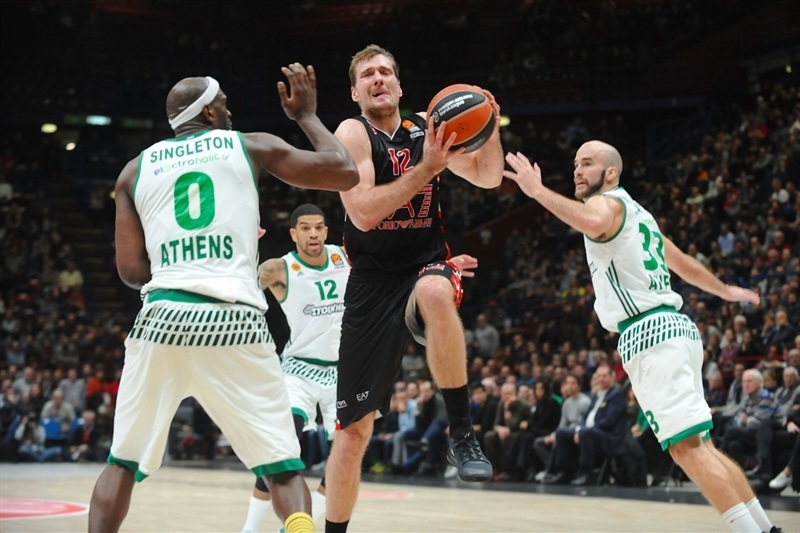 The lead was as big as 26 points in the last quarter, before Mantas Kalnietis helped lower the margin in the final minutes. "I'm disappointed. We worked hard and well during the practices leading up to this game and we didn't execute the plan. Right when we went down, we didn't respond and the crisis lasted longer than usual. Why? This is a question I can't answer at this time." 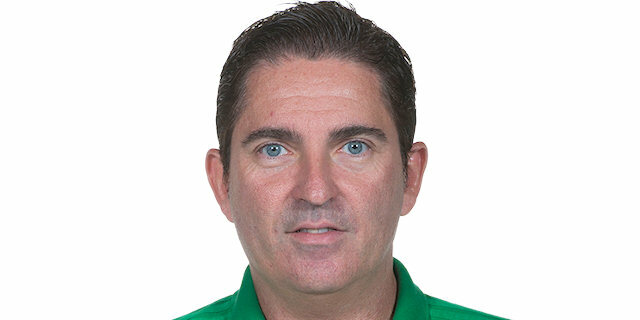 "We are happy for this win. We started the game not very well on defense, and we missed a lot of open shots. But after, in second quarter, I think we changed the game. We improved our defense, our offense, and we controlled the game until the end." "Basketball is strange. Sometimes you put the effort and the outcome is different. Now it's hard to say what we need to do. The body is here, but the mind is in a different place and figuring out what to do next is part of our job now." 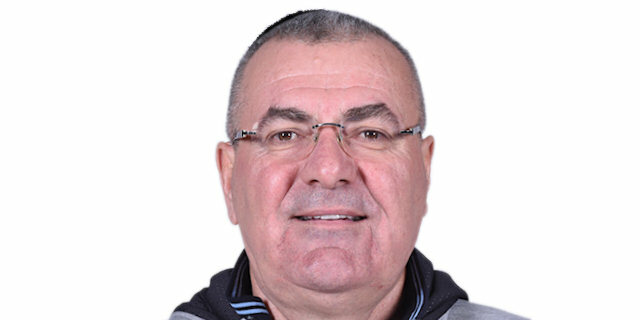 "It was a very important victory for us. The game was not easy, we made it seem so. Day by day we want to become better. Our goal is to get as high as possible." "We needed a win. We need to show we can win on the road, and take care of business, and that is what we did. I feel like I’ve been out for forever and I am finally starting to feel like myself again, so it felt good to actually make some shots tonight."